Natalie Kusch (Natasha Kusch, Natalie Kusch) and Michele Satriano in the Duet of Carmen and Don Jose from Carmen to the music by Georges Bizet, choreography by Roland Petit. 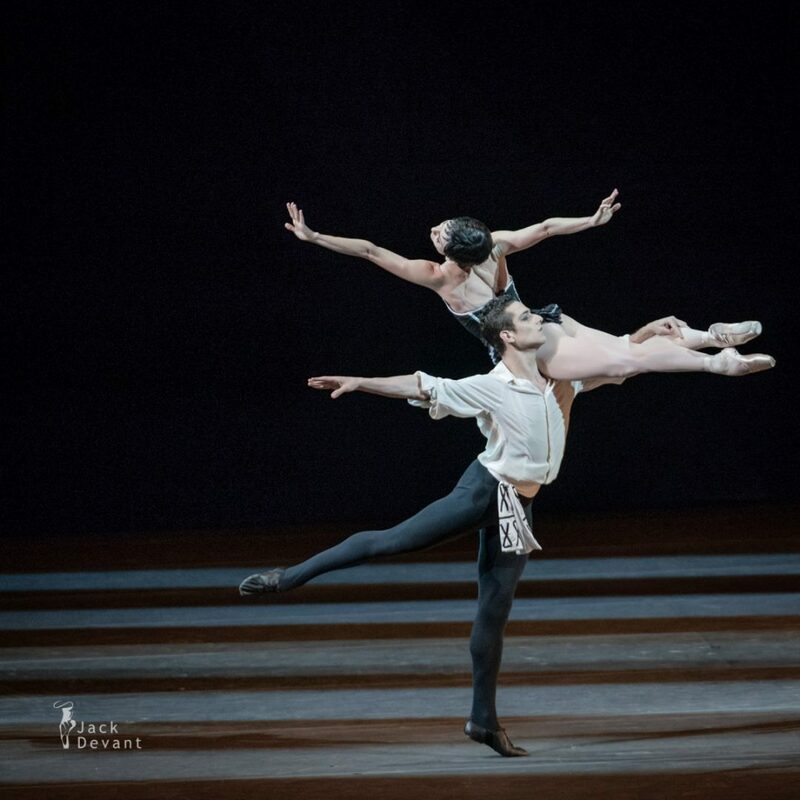 Benois de la Danse 2018, World Ballet Stars and Nominees to the Prize concert, shot on 5.6.2018 in the Bolshoi Theatre, Moscow. Natalie Kusch (also Natasha Kusch) is currently Resident Guest Principal Dancer with Universal Ballet. Natalya Kusch was born in Ukraine, studied in Ballet school Nikopol, Ballet College Dnipro and Ballet Conservatorium St.Polten. Ballet-soloist of Dnipro Theatre of Opera and Ballet (1998-2000), Ballet-soloist of Vienna Staats Opera (2005-2013); Principal Queensland ballet Brisbane (2013-2014); Senior Artist Australian Ballet (2015-2017) and joined Universal Ballet in 2017 as Principal Dancer. Michele Satriano is from Potenza, Italy. He trained at Liceo Linguistico Teatro Alla Scala, Scuola di Ballo del Teatro alla Scala,Scuola di Ballo Accademia Teatro alla Scala. Currently works at Teatro dell’Opera di Roma.